Let's face it: work isn't always fun. Even when you love your job, sometimes it can be downright stressful. Show yourself to be a good boss by giving your employees some understanding in the form of low cost promotional stress balls. 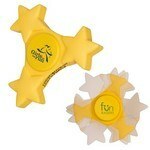 The PromoSpinner – Star features rotation time of 1 minute and makes interesting Business Giveaways with brand details. 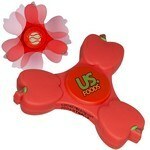 Our PromoSpinner – Apple features PVC construction with steel bearings and makes nice Giveaways with your logo. The PromoSpinner – Graduation Cap features attractive graduation cap design and allows adding custom logo and message to Promote your Brand. 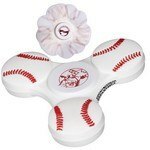 Our GameTime Spinner – Baseball features durable PVC construction and allows adding company logo and message to Promote your Brand. 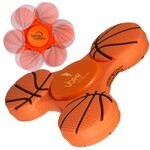 The GameTime Spinner – Basketball features ABS center imprint panel to insert custom logo and message for Brand Recognition. 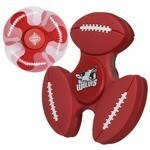 The GameTime Spinner – Football features PVC construction with steel bearings and allows adding logo and message to make exciting Company Logo Products. 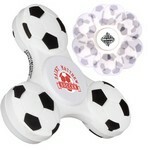 The GameTime Spinner – Soccer features PVC construction and steel bearings, Customizable with your corporate logo and message for Brand Recognition. 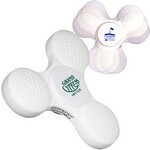 The GameTime Spinner –Golf features rotation time of 1 minute and makes interesting Giveaways with your logo.